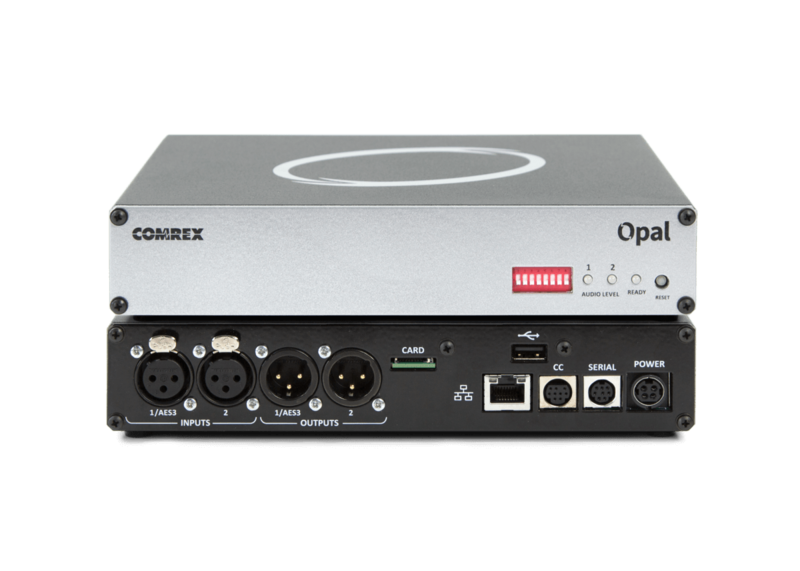 Opal by Comrex - Guest interviews don't have to be complicated! Guest interviews don’t have to be complicated. Expert guests (like entertainers, political pundits, athletes, and others) don’t always have access to engineers. They need something as simple to use and familiar as a phone call. But that doesn’t mean a radio program should settle for phone quality audio. Opal enables guests to connect to the studio by simply clicking a link. Unlike Skype and other apps, the remote guest doesn’t install a thing – they just click a button, and go live. This simplicity means that guests with no technical background can connect and transmit HD audio. Opal works by activating the Opus encoder built into commonly used browsers, including Chrome, Safari, Edge, Firefox, and Opera. As a result, Opal can connect to any computer, Android, or iOS device with one of those browsers installed. All a remote guest needs to transmit audio is a browser and a microphone. Opus is a ubiquitous encoder that is built into commonly used browsers, including Chrome, Safari, Edge, Firefox, and Opera. Opus transmits high-fidelity, low delay audio in both directions. It uses very little network bandwidth, so it’s highly reliable. Opal has a few requirements for setup on the studio end. In order to be so simple for your guests, Opal requires some IT wrangling during installation. The studio Opal must have a Static IP with port forwarding, a domain name assigned to it through a registrar, and a valid security certificate. This is no trouble for a seasoned IT guy, or an engineer with a friendly IT department. But not everyone has these resources available. A power supply for Opal. IEC power cord not included.